Celtic and Borussia Dortmund aren’t all that different according to loanee Jeremy Toljan. The German giants own the right-back but want him to gain experience at the Scottish champions. He is fitting in well with two games under his belt, experiencing a similar environment to the Bundesliga. Dortmund are shock leaders of the German Bundesliga – seven points clear of Borussia Monchengladbach and Bayern Munich. The key to Lucien Favre’s current success is a stable defence and free flowing football. The Hoops are doing that too, having only conceded one goal at Parkhead since October and the new Bhoys are a breath of fresh air. Toljan told the Scottish Sun: “We have been doing a good job in defence and we’ve been defending counter-attacks very well. “If you do well in attack and score a lot, it’s hard for the opponent to score against you. The last Celt to come from Dortmund was Paul Lambert. The Scotland midfielder was a stalwart and fan favourite for both sides, even winning the Champions League with the Germans. 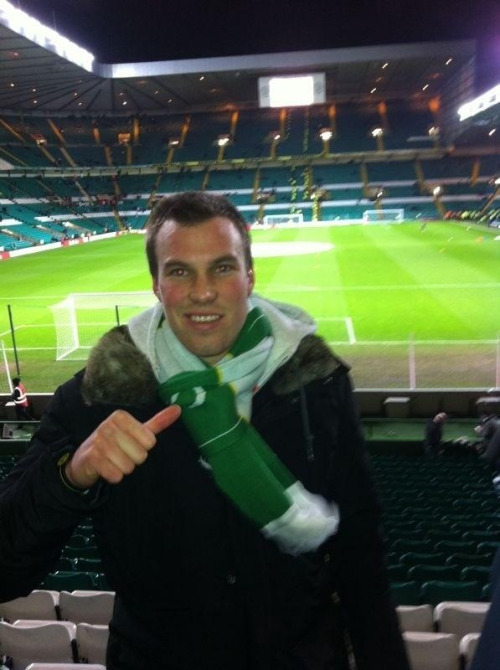 Former right-back Kevin Großkreutz is also a Celtic fan and has been seen at Parkhead in the past. Furthermore, some fans of both clubs have strong links with each other. In terms of Bundesliga, new Bhoy Oliver Burke got his first big move to Red Bull Leipzig and is now using his early experience at Parkhead. It’s not always strong with the likes of Teemu Pukki coming directly from Schalke and not having a strong impression. Dortmund’s Toljan is settling in and is liking the familiar environment. Fingers crossed his path remains positive and perhaps a permanent deal can be done in the summer. Right-back is a current problem at Celtic, so it would be good to finally put this to rest.